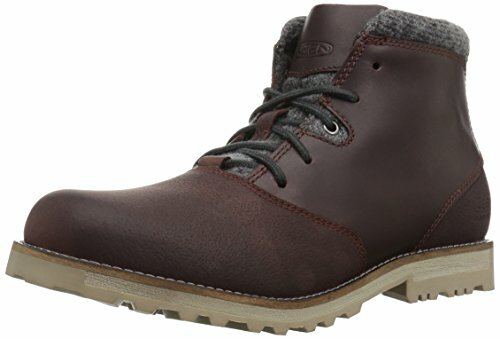 Keen Boots Review - The Most Durable Everyday Boots? Keen Boots Review – The Most Durable Everyday Boots? Keen boots – some of the best quality, most durable boots on the market? This is a question I asked myself and one I guess you are currently asking considering you are here reading this article. Well, this article is going to investigate exactly that, taking a look at some of the offerings from the brand in terms of their women’s, men’s and children’s boot options. Did I answer my question with a “yes”? Read on to find out. 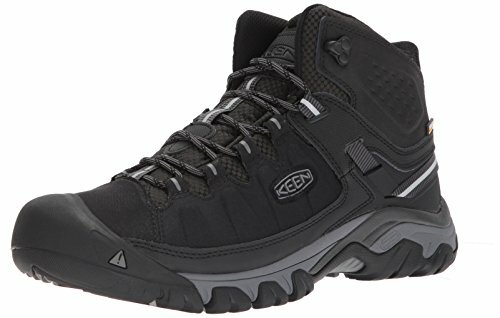 There is no shortage of choice within the male boot line for Keen. Let’s start with some of the newer styles, like the Targhee III Waterproof Mid. This option offers an updated look on Keen’s iconic hiking boot without compromising on fit, durability, and performance. 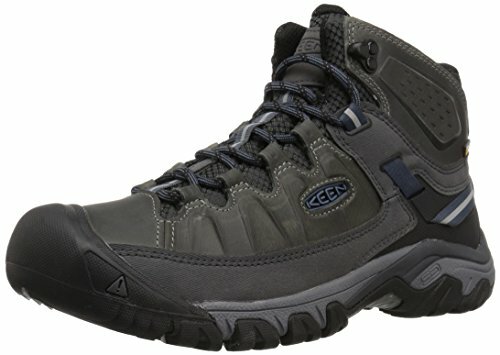 The boot is constructed using KEEN.Dry® waterproof, breathable membrane and a leather mud shield for durability. There is also 4mm multi-directional lugs for traction and environmentally friendly leather. Considering all this, and even the initial bulky look of the boots, they are quite a lightweight construction. This makes for an easy wear, especially when teamed with an injected TPU heel-capture system. My favourite feature, one that more activity wear should have, is the inclusion of CLEANSPORT NXT™ for natural odor control. An older version is the Targhee II Mid. As you can tell by the name, it is part of the Targhee family, meaning they have some similar feature. This version, however, also has a contoured heel lock, a removable metatomical dual density EVA footbed, and a torsion stability ESS shank. There is also a wide version. 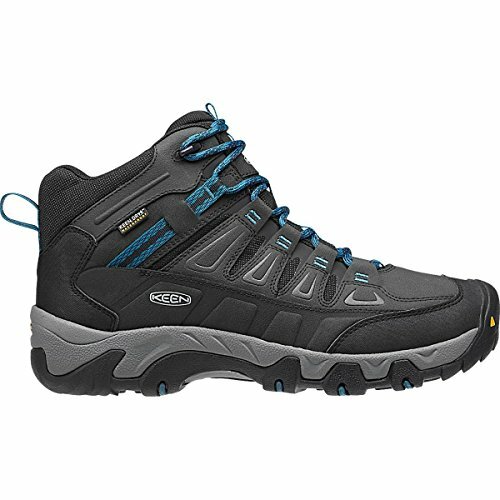 A similar version is the Targhee EXP Mid Waterproof. This boot also boasts durability and performance via a dual density compression-molded EVA midsole, an ESS stability shank for support, an internal torsion stability polyamide shank, KEEN.DRY® waterproof breathable membrane, and a removable metatomical dual density EVA footbed. This version lacks in terms of fit and it is recommended ordering half a size larger than your usual size. They also come in a wide version. Keeping within the waterproof theme is the Gypsum II Waterproof Boot boot. Despite the low cut of this boot the waterproofing keeps it dry even in very wet conditions. The Gypsum II is comfortable to most but if there is any doubt, order a size up so as not to have it too tight. This is a leather boot with some synthetic components. The insole is cushioned and removable. They are comfortable and have great cushioning as well as grip on the trail. 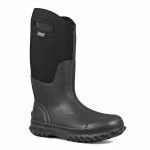 The Oakridge Waterproofboot also runs a size small and a wider fit is available. Other than that, it provides cushioning and stability, and the rugged tread adds traction. Feet can easily breathe through the mesh lining of the boots. Other elements which make this boot worthy of your money are the odor-control Cleansport NXT™, KEEN.DRY® waterproof breathable membrane, and a removable metatomical EVA molded footbed. 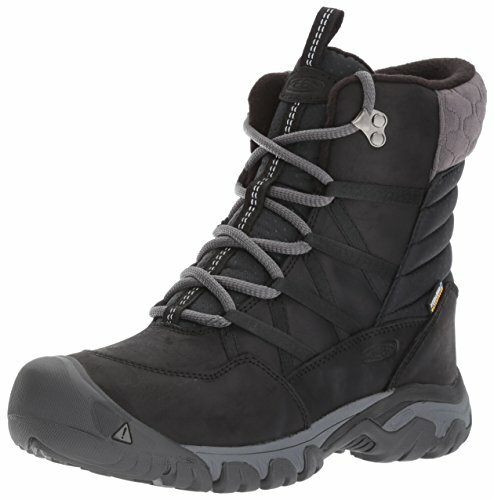 There is also the Oakridge Polar Waterproofboot, which is fitted with lightweight insulation. If you have been reading carefully to this point, you will have noticed a trend in terms of the Keen boots; they all offer optimal performance and durability. 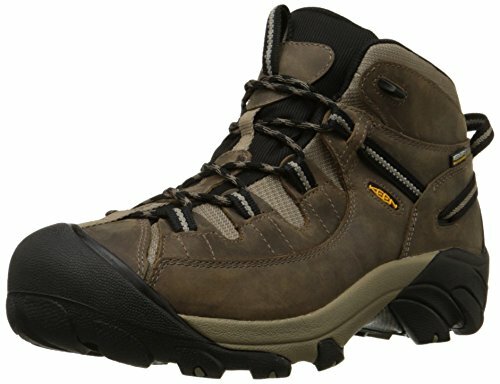 These offerings fit this trend and can also be chosen as your hiking/outdoor activity boot of choice. You might have also noticed that all these boots are not the most attractive looking. If it is style you want, along with durability, there are some better options for you. The Rocker Waterproof is a lightweight leather lace-up boot that can be worn day to day with a pair of jeans or chinos. They have seam sealed waterproofing and are comfortable enough for long periods of wear. Like the other waterproof boots already mentioned, they also have Cleansport NXT™ for natural odor control and a removable metatomical PU footbed. Also boasting style and waterproof elements are The Slater boots. These attractive boots are constructed using full-grain leather, wool, and water-resistant seams. They also have a light layer of insulation and a cushioned midsole. Another really beneficial feature is the heat reflecting strobel which provides a thermal barrier. 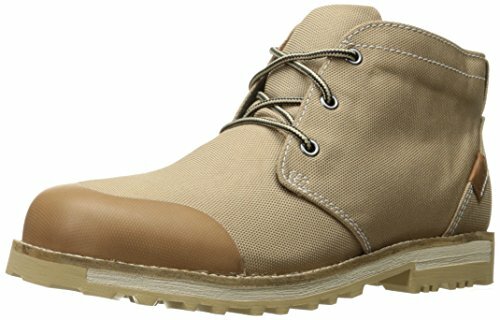 Another boot for more casual wear is the 59 Chukka. The light colour and nylon fabric of this boot mean it is more suitable for spring/summer wear. It is different to the other boots mentioned so far but not without some favorite features: the Cleansport NXT™ and the removable metatomical dual density PU footbed. 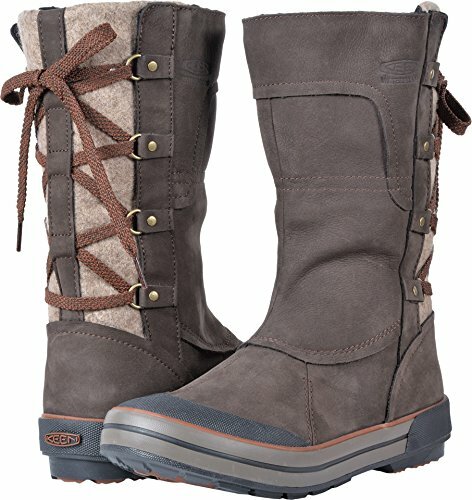 There is an equally large selection of women’s boots from Keen. Let’s start again with the waterproof options. The Targhee III Mid Waterproof and the Targhee EXP Mid Waterproofare also available for women and need no introduction. 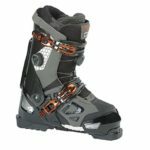 We also see the return of the Westward Leather Waterproof Boot, the Oakridge Waterproof Boot, the Targhee II Mid, and the Gypsum II Waterproof Boot. What is different for the female line is boots that rise higher up the leg. Take the Elsa Boot, for example. Creeping up the calf, it includes water-resistant PU leather, a warm Sherpa fleece collar, and a heat reflecting underfoot barrier. We also have the Cleansport NXT™ and removable metatomical PU footbed. Waterproof versions are available in the form of the Elsa Premium Mid Waterproof and the Elsa Premium Zip Waterproof. A similar boot to the Elsa is the Hoodoo III Lace Up. 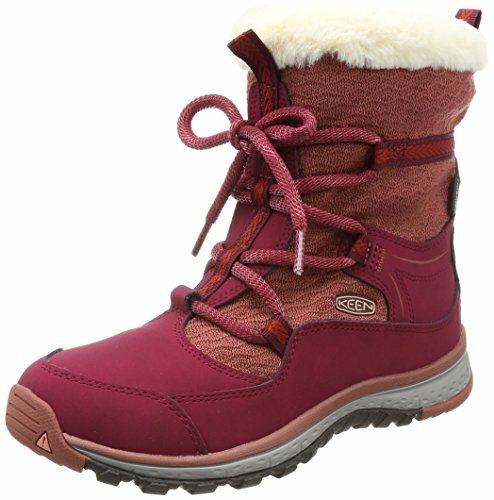 These boots are ideal for the snow thanks to criss-cross lacing, which allows the boots to be tied tightly, and a durable sole with a good grip perfect for icy surfaces. They also feature Cleansport NXT™, 4mm multi-directional lugs, and an ESS stability shank for support. If you really want something suitable for the snow, the choose the Terradora Apres. This lightweight boot is flexible, well-insulated, and boasts a cold-sensitive sole. That is as well as a faux fur collar, 4mm multi-directional lugs, and an ESS stability shank for support. 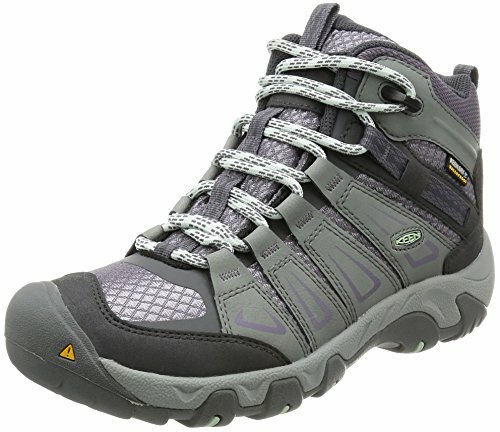 There are also more stylish boots for women available from Keen. 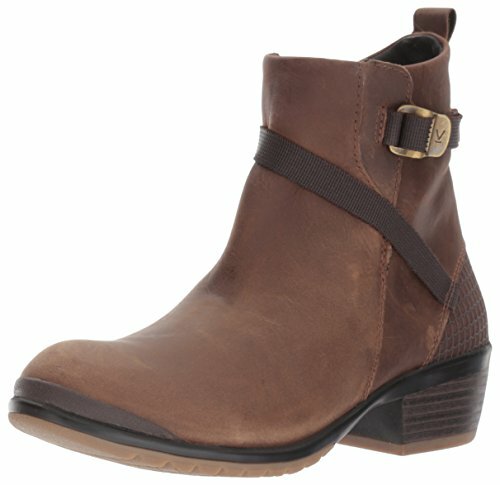 The Morrison Chelsea is a nice ankle boot with a mid-sized heel with durable cushioning and arch support, making it ideal for everyday wear. Other options are the Morrison Mid and the Morrison Mid Leather, both also with durable cushioning and arch support. Several options are also available in kids’ sizes. Toddlers have the Kootenay, a durable book with a rubber sole and soft fleece lining. There is also the Peek-A-Boots, marketed toward toddlers about to embark on their first walk. They have contoured arch support and a soft panel shielding at the front, and the faux fur lining will keep the feet nice and snuggly! Preschool kids are also catered for with the Peek-A-Boot and Kootenay, of which there is also a waterproof version in this size range. As the age of the wearer goes up, there is a bigger range of waterproof boots. For example, the Little Kids’ Winterport II Waterproof, a warm, lightweight winter boot that features waterproof nylon and cushioning that cradles the foot. Or the Little Kids’ Basin Waterproof Boot, which has a fleece cuff and a bungee lace system. As we move to the Big Kids’ options, we again see the Kootenay and the Winterport II Waterproof, as well as the Terradora Waterproof Mid, similar to that from the adult range. 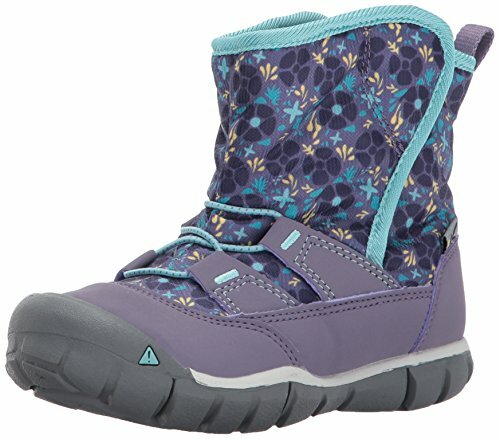 There are some options specific to the age group though, such as the Moxie Tall Waterproof Boot designed specifically for girls and with versatile style with season-proof performance. A wide selection of men’s, women’s, and children’s boots are available. 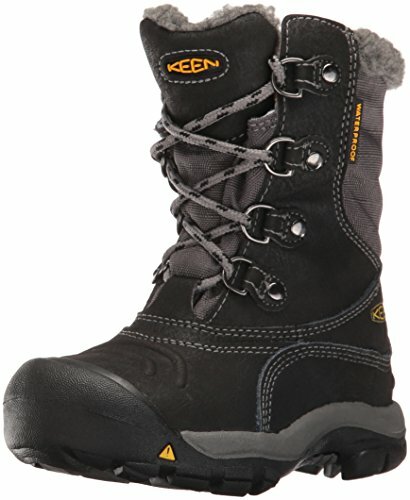 There is a large choice of waterproof boots constructed using KEEN.Dry®. Many of the boots have 4mm multi-directional lugs for traction. Some boots include an injected TPU heel-capture system. Several of the boots have CLEANSPORT NXT™ for natural odor control. Other good features which can be found in many of the boots are dual density compression-molded EVA midsole, an ESS stability shank for support, an internal torsion stability polyamide shank and a removable metatomical dual density EVA footbed. Men and women can also purchase boots more suitable for day-to-day wear but with the same high standard as the hiking boots. Some of the boots run a half a size small. 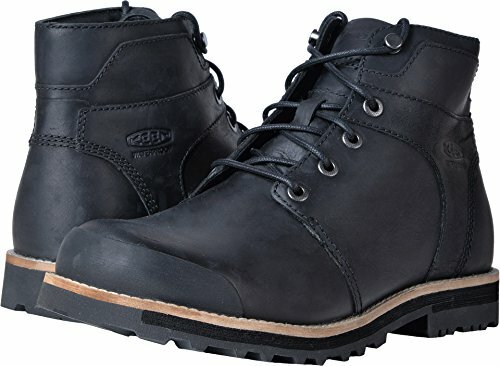 Following my research, the picture was clear to me: if you are looking for waterproof boots with a high level of durability, Keen boots are definitely a good choice to make. 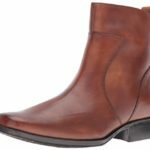 On a simple level, they provide options for men, women and children, they have a variety of different styles, and they also make boots a bit more practical for day-to-day wear. Then there is the technical part. 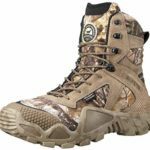 All the boots in this article have durable soles and are made to provide the utmost comfort whether through padded insoles, fleece lining, or otherwise. Some boots even have some cool extra features like odor control. Keen boots also pass my review test: where I scour the internet to see what the consumers are saying. 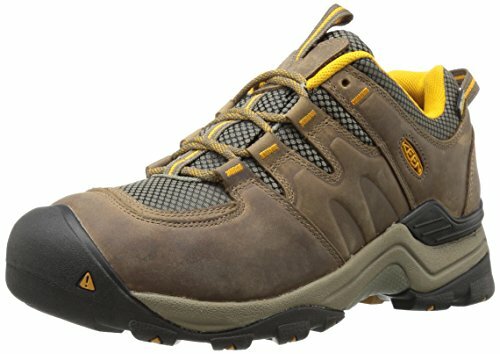 As with every shoe, there are some slightly negative reviews but overall people are very happy when they purchase a Keen boot. Why not join this group of satisfied shoppers? 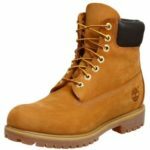 Timberland Premium vs Basic Boot Comparison: What is the Difference?